With only 8 days until Desolate releases on iBooks I thought I would share a few of my thoughts about this book. This is the forward from Desolate. This book contains some very sensitive and mature topics that are not suitable for some young adult fans. I recommend that parents please preview the book first. Due to the content I am marketing this book as a new adult novel instead of young adult to protect my younger readers. My Arotas trilogy hinted as to what Roseline’s life was like living as a prisoner with a man who thrived off people’s pain. It is deeply disturbing to me to place myself in the mind of an abuser, but for the sake of being real with this story, I chose to show the full extent of Roseline’s transformation, without dwelling on it or hopefully being overly graphic. While writing DESOLATE, I found it to be very difficult to put myself in Roseline’s mind as well, to allow myself to not only feel her pain, but also her helplessness and utter brokenness. I cannot begin to fathom the anguish that comes with someone stealing your innocence, of reveling in your pain, but it is sadly a fact of life for many girls. I only hope that through the words of this book I can show that though terrible times may seek to destroy you, strength is birthed from trials. An abuser cannot define who you are. 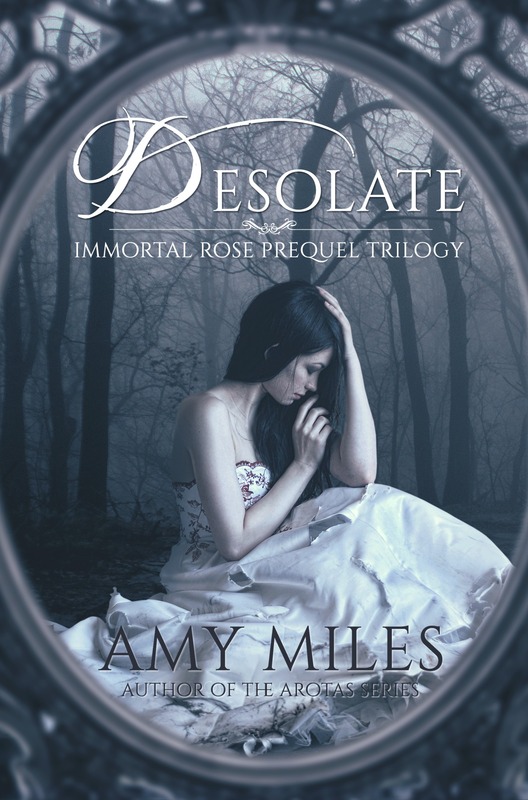 Desolate was a very emotional book for me to write from start to finish. I knew that I was diving into topics that are not only sensitive but could negatively affect those who may have been placed under a similar circumstance. Although this book is an act of fiction, I know that some people will relate to my character Roseline. I wrote this book as a testimony to abuse victims, not to dwell on the circumstance but on their strength and resilience against all odds. Parents of young adults: PLEASE preview this book before allowing your child to read it. I know that although they may have enjoyed my YA Arotas trilogy these books may not be suitable. I can not stress this concern enough. I did my best to handle the topics well but I would be remiss if I did not place a strong warning for parents. Tomorrow I will be releasing the first chapter of Desolate for everyone to preview. This will give you an idea of the tone with which this book is written. It is dark. It is painful. It is emotional…but it is also births a love story that I feel is worth embracing. Nothing is more uplifting than a man who has seen you are your worst and holds you hand to help you heal from your wounds. A man with no ulterior motive. A man who loves you simply as you are. This is what I present to you in Desolate. Yes there is torture but there is love. When will it be released on amazon for kindle users?